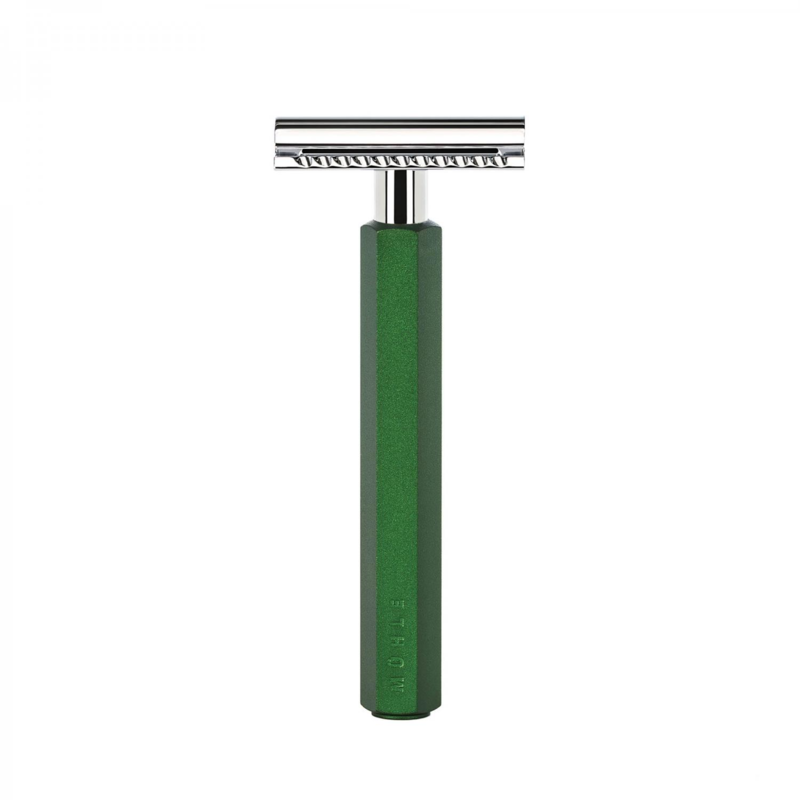 The Muhle Hexagon Forest Safety Razor, Is a cutting edge razor. 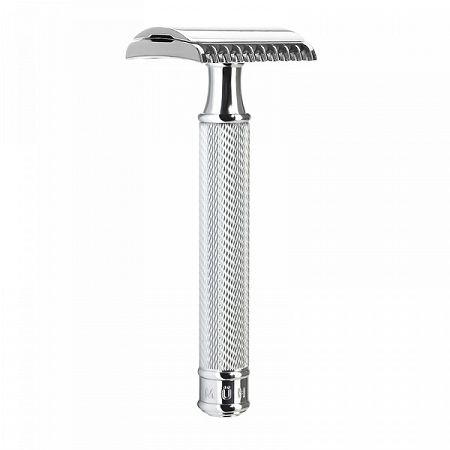 The design Is great you can really see the Bauhaus Inspiration In the handle. Also the finish Is perfect, the dark green aluminium Is really special. Taking this 3 piece razor apart you can really feel It’s excellent engineering. 67 grams seems to a perfect weight to this 94 mm razor. 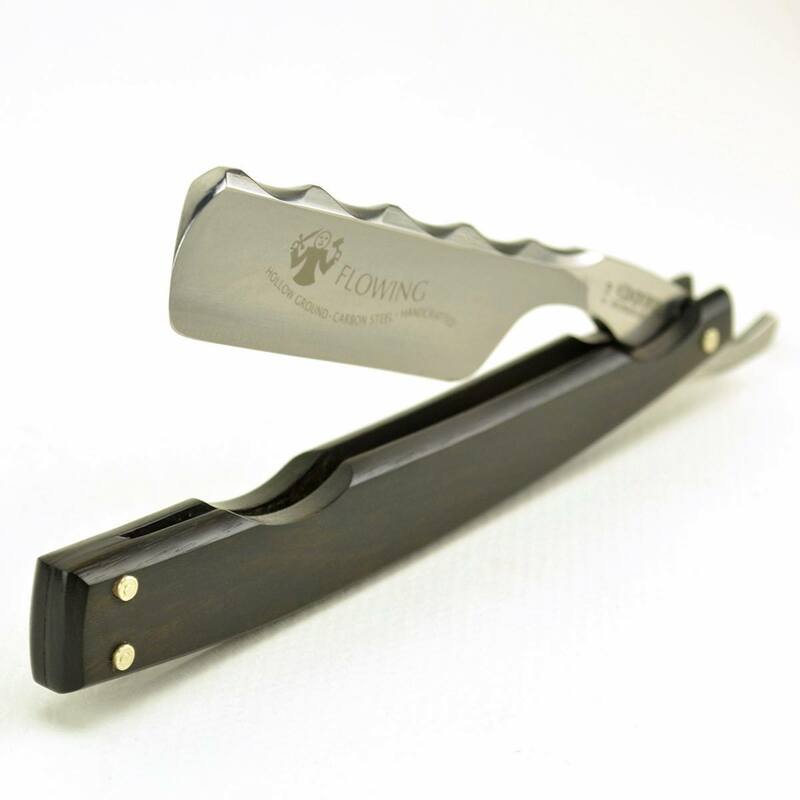 We recommend the blades below, being the Muhle home brand, which are firm also they are super sharp. There’s a free one In the razor box. 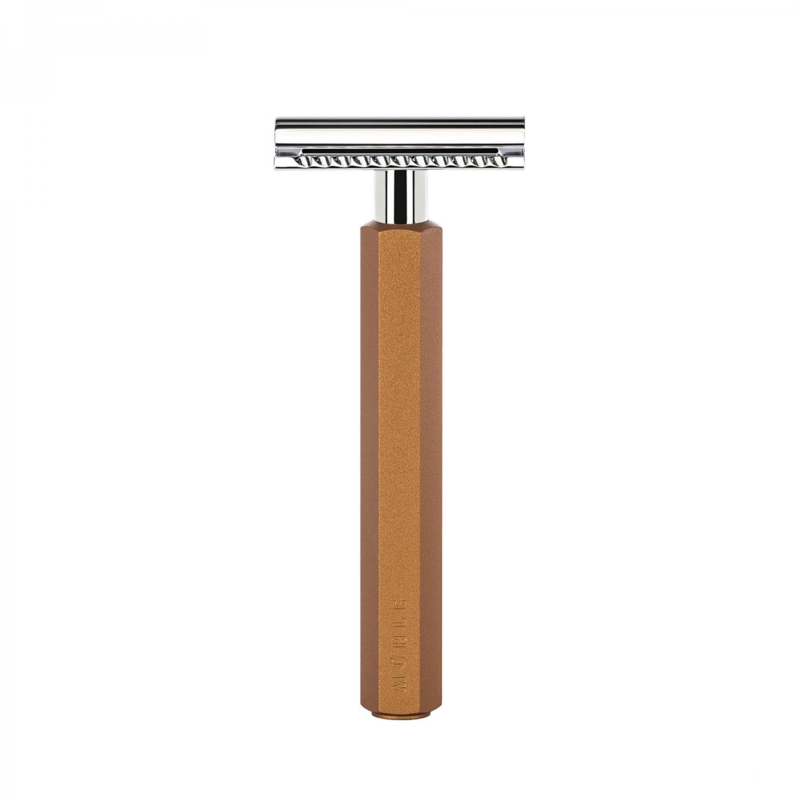 Shaving with a Muhle Hexagon Safety Razor Forest, Is a great choice, as the head Is middle aggressive. 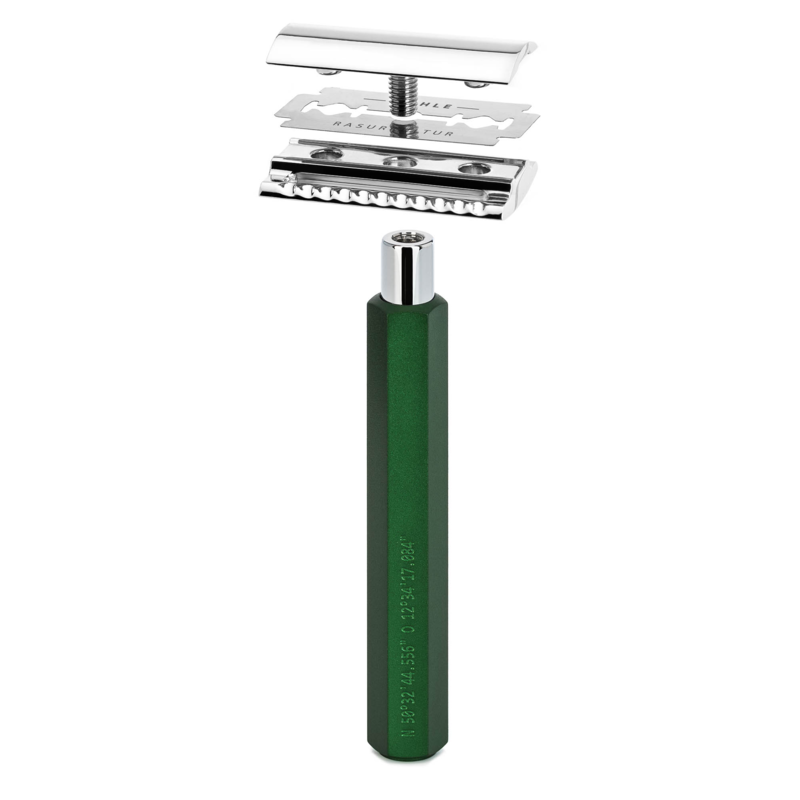 Giving this a close powerful shave and also a protective angle of the guard. 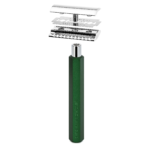 At Edward’s we are proud to be official retailers of Muhle, who have made high end shaving equipment since 1945. Safety razors are a great way to shave, a part of the fun Is trying out new techniques. Some can be found on our blog. 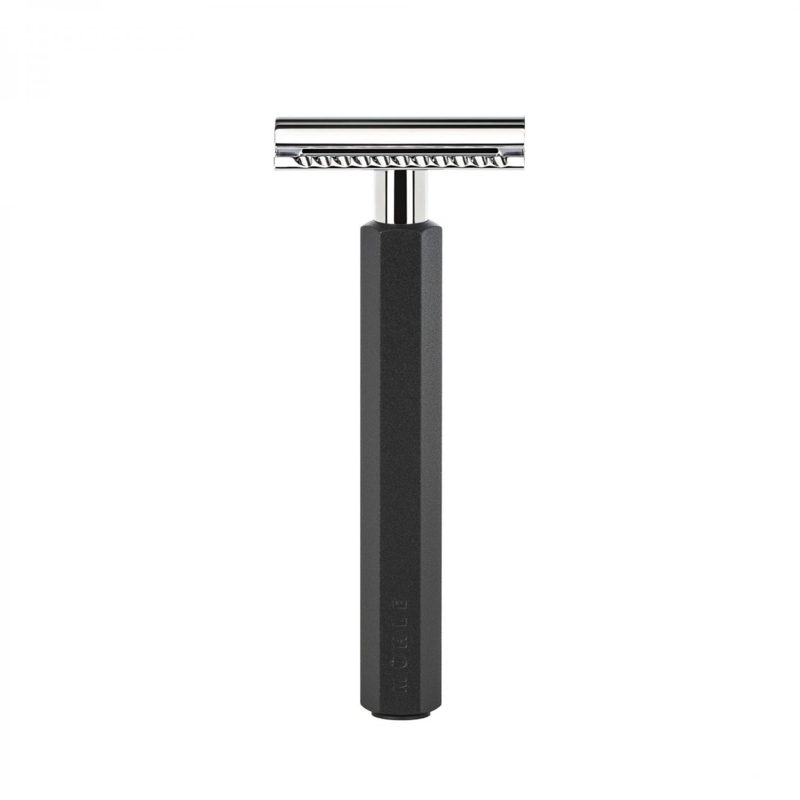 Also as the MÜHLE Hexagon Safety Razor Forest, Is a DE razor we have 8 different safety blade styles to try If you aren’t keen on the suggested brand. Mark Braun designed this range from his uber fasionable studio In Berlin. He Is a celebrated furniture designer, who has a broad array of products which he has made. Like watches and glassware. His teaming up with Muhle to make this exciting project has created an Interesting wing to his work. Where he has combined Industrial design, which Germany Is famed for, with function. We at Edward’s particularly like the colours which are anodized Inside the aluminium. This Is a great range to use that has great results. Please get In touch If you have any questions. If you buy one, we will deliver free the next working day.